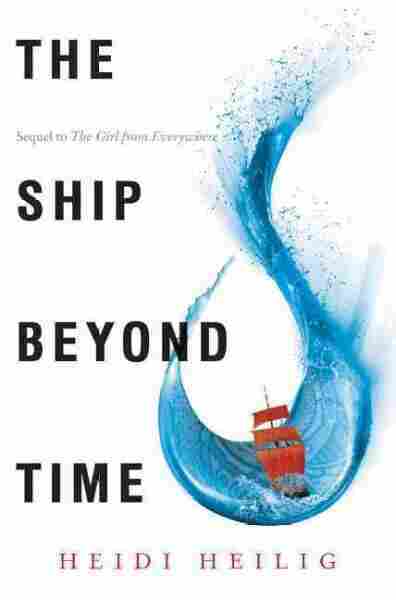 'Ship Beyond Time' Sails Through The Centuries Heidi Heilig's duology, The Girl From Everywhere and the new The Ship Beyond Time, follows a girl who travels between worlds and times on her father's tall ship, trying to save her mother's life. Last year, Heidi Heilig sailed onto the YA scene with her debut novel The Girl From Everywhere, introducing us to Nix, who uses maps to travel between times and worlds on the tall ship Temptation. Now we can journey with her through the sequel, The Ship Beyond Time, in search of an answer to the classic question of time travel: Are we the masters of our own fate, or are we simply treading the path of destiny? Nix has lived her whole life aboard the Temptation with her father, who possesses the ability to Navigate, or transport his ship and crew to any time and place, real or fictional, as long as he has a map to use as a guide. They're on the hunt for one special map that will bring them to Honolulu in 1868, where Nix's mother, Lin, is about to die giving birth to her. But Nix is afraid that by helping her father save the woman he loves, she'll prevent her own birth — and everything that's happened since, including meeting her best friend, Kashmir. After catapulting from one map to the next, they reach Honolulu, only to find that they've arrived too late to save Lin. When a shadowy alliance offers them a true map to Lin's time and place in exchange for pulling off a heist, they must decide what they are willing to sacrifice. The Ship Beyond Time picks up post-heist, with the crew licking their wounds and wrestling with the same issue as before: If something is fated, can it be changed by wayward time travelers? New to the crew is Blake, a 19th century boy who made the mistake of fancying Nix and getting tangled up in the heist, contributing to the downfall of his beloved homeland. Nix's guilt over messing up his life tangles with her fear for Kashmir's safety when she discovers that her love dooms him to drown. Who hasn't dreamed of sailing a magic pirate ship, or pored over a map and wished that believing hard enough in the place upon the page might make it appear? It soon becomes clear that there's another Navigator trying to challenge destiny, and he's set a clever web to entangle Nix and her father. Following his clues, they travel to Ker-Ys, an imaginary city that is supposed to perish beneath the waves — unless they can find a way to alter fate. Time travel is a challenging trope to reinvent in a way that feels fresh and exciting, and Heilig succeeds with a flourish. Who hasn't dreamed of sailing a magic pirate ship, or pored over a map and wished that believing hard enough in the place upon the page might make it appear? Using these universal fantasies as the mechanism for time travel is a revelation, and having some of the maps lead to imaginary lands opens up the whole wide world of myth and legend. The premise of these books is truly the perfect playground for adventure. One has to wonder if perhaps the possibilities are too vast for a duology to handle. Both books follow the same format — we begin with madcap Navigating from one map to the next, then settle firmly into one setting for the remaining two-thirds of the story, with only a few dashes to other maps as we reach the final act. 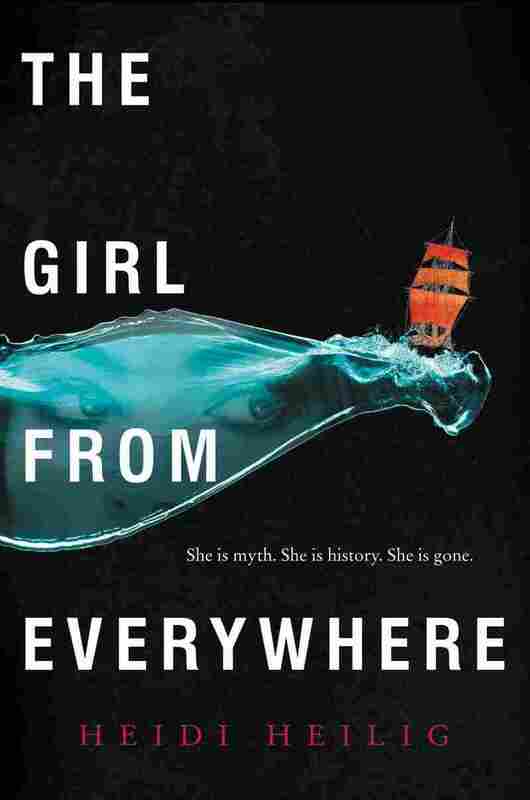 This works beautifully in The Girl From Everywhere, with the frenzy of adventure and travel standing in stark contrast to the lush beauty and calm of Hawaii. As Nix struggles with the question of where she belongs, we see her pulled between two possible lives. This same format becomes somewhat limiting in The Ship Beyond Time. I expected this book to be an escalating succession of maps as Nix chases her fate. Unfortunately, things grind to a bit of a halt once the crew reaches the dreary city of Ker-Ys, and I found myself reading faster, hoping that we'd soon be on our way again. Likewise, the second book seems to lose track of the characters who so enriched the first. Nix's crew is diverse and fascinating. Shipmates Bee and Rotgut burn brightly as Nix's surrogate family in The Girl from Everywhere, but fade to a ghostly presence in The Ship Beyond Time. Nix's relationship with her father moves from being complex and central to existing on the sidelines. Blake, who started out as a sensitive artist and romantic competition for Kashmir, is now a sulking liability. The only character who gets to shine brighter in book two is Kashmir, whose new point of view chapters offer a different perspective on the risks of Navigation. His changing relationship with Nix is the heart of the second book, which is undeniably enjoyable — but I missed the other characters I'd grown to love. I would have minded all of this less if The Ship Beyond Time had been the second book of a trilogy. In many ways, it feels like a middle book. It ups the stakes, it unites people only to tear them apart, and it ends with more questions than answers. I am left greedy for more — more maps, more adventures, and more time with all of these characters. I will live with hope in my heart that we haven't heard the last of Nix, and that someday we will sail the seas with her and her crew once again.